*In 2014/15 the depth of the shelves was adjusted. 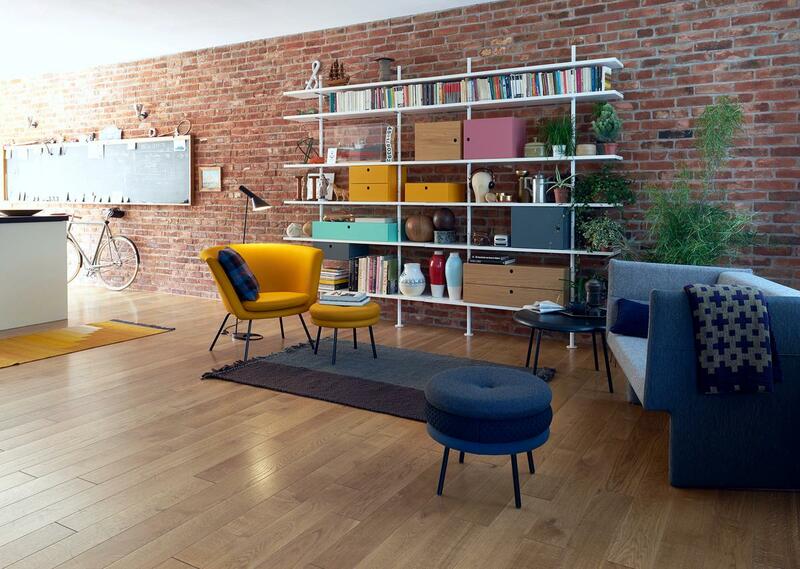 The shelves in size 140 and 160 are now only produced in a depth of 33 cm and no longer of 30 cm. The supply of custom sized shelves is unfortunately not possible. 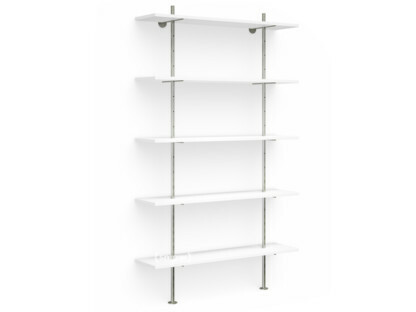 Shelves with 200 cm width are still delivered with the 30 cm depth. Care For cleaning wood surfaces a soft, damp cloth and a mild, non-abrasive detergent are recommended. How much weight can the shelves support? 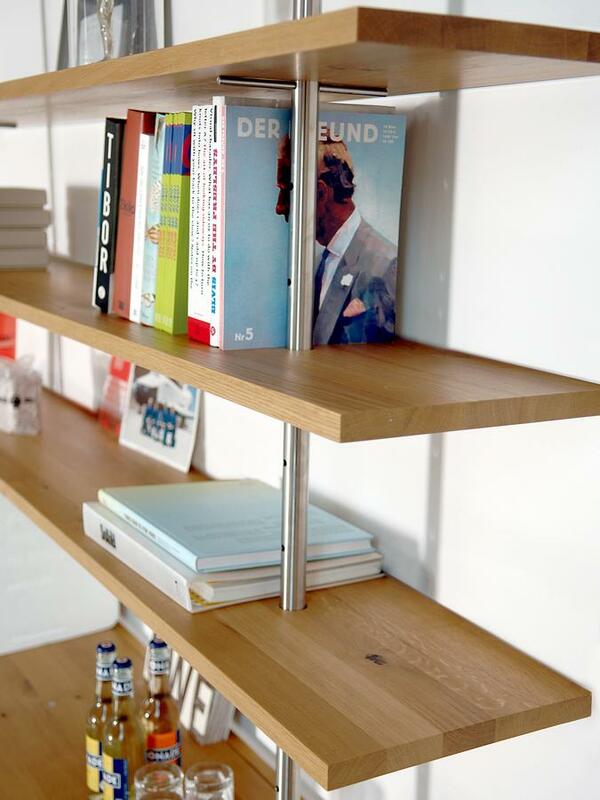 The solid oak shelves have the highest load bearing capacity. 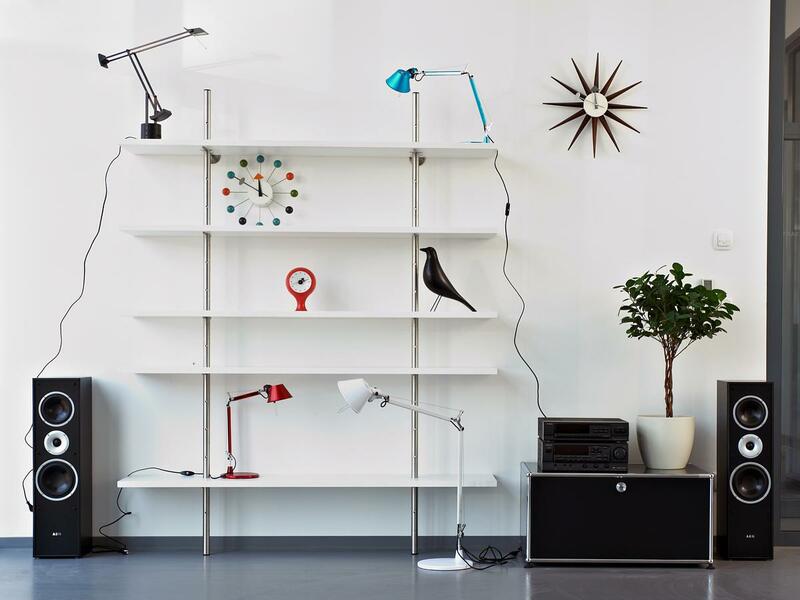 As a unit the Regal Eiermann is very stable and in addition can be fixed to the wall via brackets (see attachment). The actual load is dissipated through the bars directly on the floor. Can additional shelves be added? Yes, extra shelves can be ordered from smow. Our customer service team will be happy to advise further. Must the unit stand on the wall? What did the original Regal Eiermann look like? 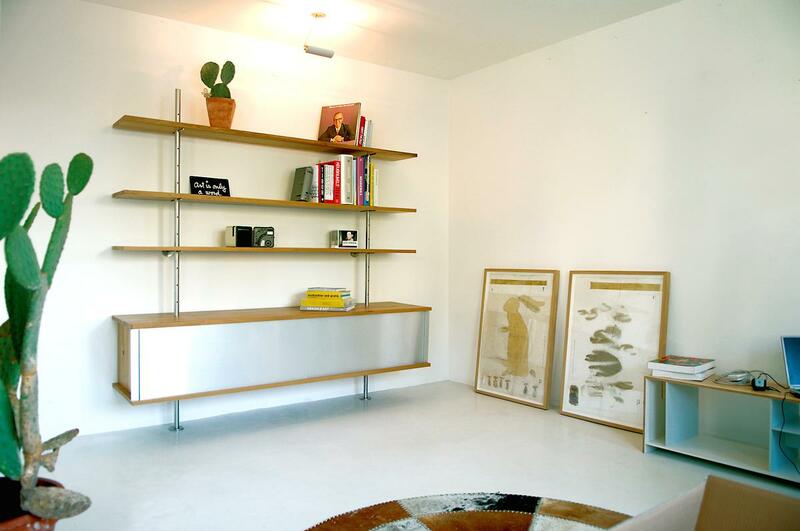 The few remaining original units from the 1930s have 2000 mm shelves and are made of solid pine with white lacquered metal parts. 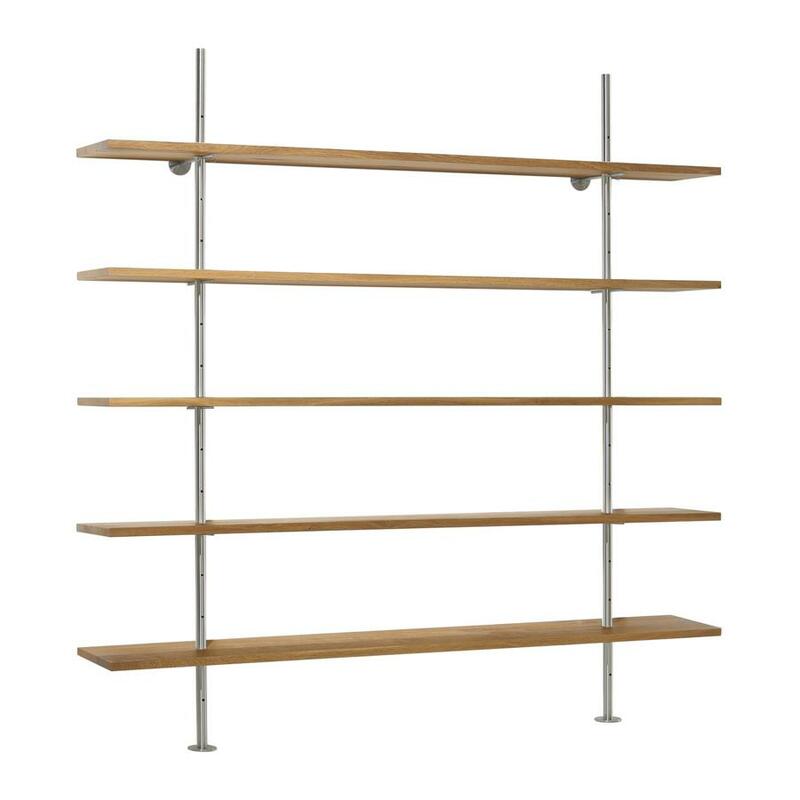 Developed by Egon Eiermann as his contribution for the 1932 competition "Das wachsende Haus", the Regal Eiermann introduced a new design principle, namely a shelving system composed of two basic elements: shelves and vertical supporting poles. Wherein the vertical supports are, so to speak, threaded through the shelves. 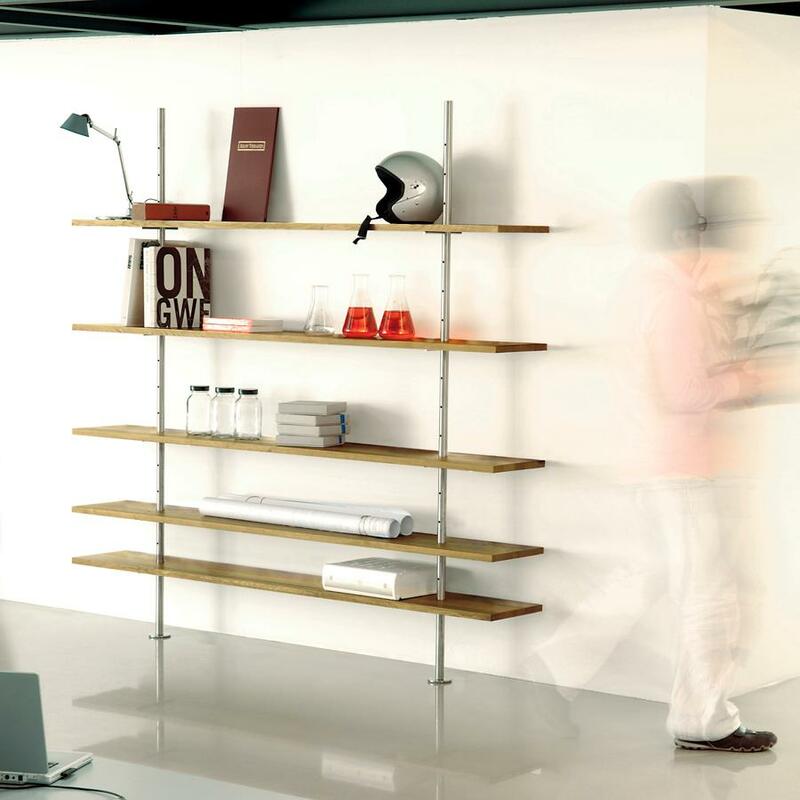 With the unusual static and the slight, sleek appearance Eiermann revolutionised the, then, normal shelf construction principle. Despite the modern nature of the object Eiermann's shelving did not fit to the then-dominant ideas of bourgeois home furnishings, and certainly not to the acceptable styles after the National Socialists seized power 1933. Therefore, the Regal Eiermann did not go immedietly into series production, but was custom created for individual projects. 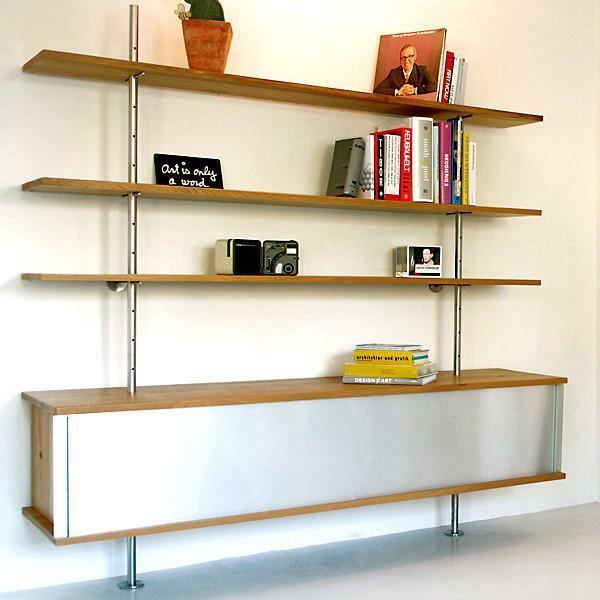 Today however the Egon Eiermann's shelving has regained its rightful place as the archetype of the modern shelf construction, and is now produced, in a slightly modified form, by German furniture manufacturer Richard Lampert. Regal Eiermann in solid oak. Detail. 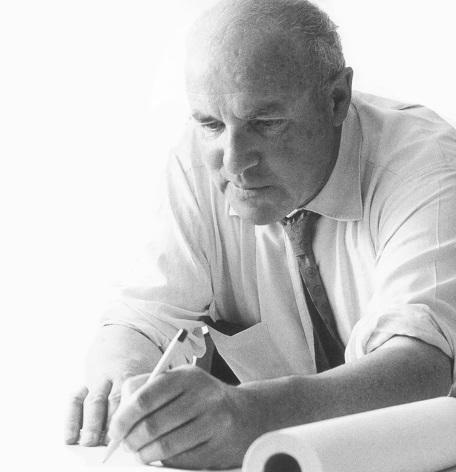 Egon Eiermann was born on 29 September 1904 and worked until his death in 1970 as an architect, furniture designer and professor. Following the completion of his architecture studies in Berlin under Hans Poelzig, Eiermann founded an architectural practice with his former student colleague Fritz Jaenecke from where they realized, predominantly, residential buildings in Berlin and the surrounding area. Following the seizure of power by the National Socialists and the professional separation from Jaenecke, Eiermann began to concentrate on industrial buildings; an area in which he could relatively freely realize and further developed its modern style. Although he designed the main exhibition hall for a 1937National Socialist propaganda exhibition, and so cooperated with the regime, Eiermann was able to to continue his career after the war without any great problems, and following a brief period in Berlin moved to Stuttgart and subsequently Karlsruhe and Baden-Baden from where he completed numerous architectural and furniture design projects. His last project, the Olivetti towers in Frankfurt am Main, was completed in 1972, so two years after his death. Amongst his most important furniture designs are, next to the Regal Eiermann, the Eiermann Table from 1953, similarly produced today by Lampert and also available in a slightly modified form as an Eiermann Kids table. 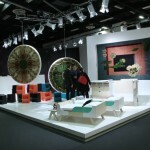 Eiermann table with Regal Eiermann together with a contemporary chair from Richard Lampert. Although the Regal Eiermann met with only limited initial success, it has become introduced to a wider, and more enthusiastic, audience since its re-edition in the 1990s through Richard Lampert. Following his graduation Richard Lampert tried, ultimately unsuccessfully, to save his family's struggling furniture production company before moving on to work for a string of furniture companies. In 1993 Richard Lampert "re-discovered" the regal Eiermann and established a company to produce and distribute it and other Eiermann design. 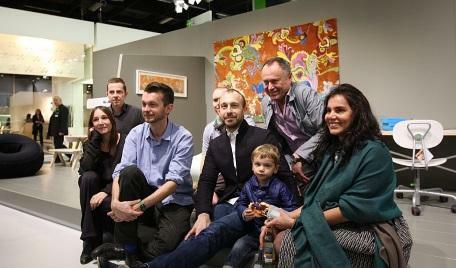 Today the Richard Lampert collection features works by designers such as Peter Horn, Herbert Hirche or Alexander Seifried in addition to a very successful collection of children's furniture, a collection which includes, amongst other pieces, the child-friendly version of the Eiermann table frame, the Eiermann children's desk, and the Turtle chair by Peter Horn. 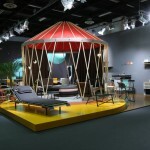 The licenses for numerous long-lost Egon Eiermann furniture objects were acquired in the 1990s by Richard Lampert and since then the Stuttgart based furniture manufacturer have successfully reintroduced the works. 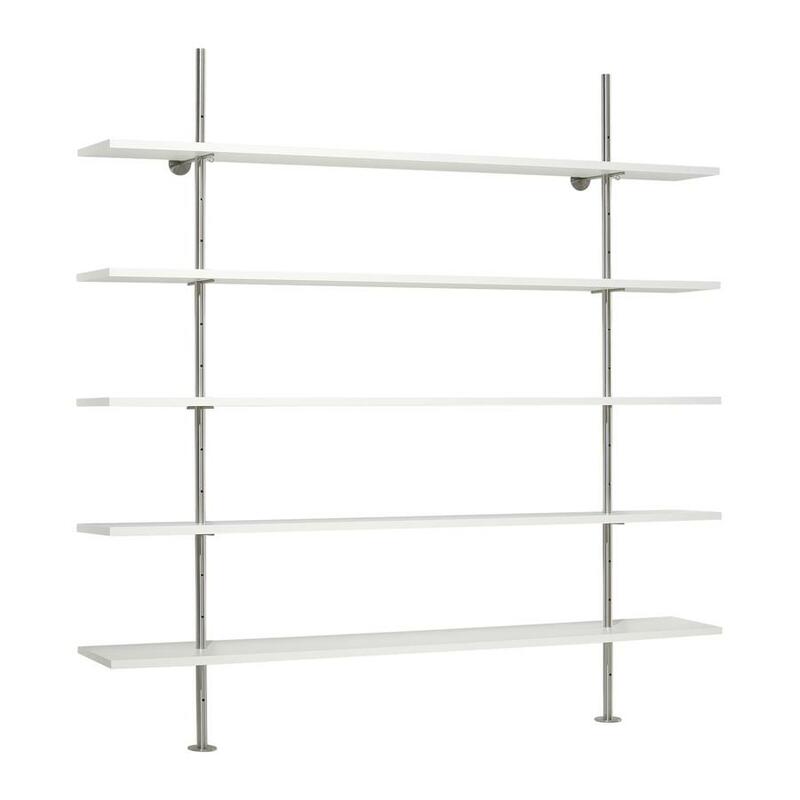 In order to optimise the design for both the contemporary age and contemporary mass production, Lampert have slightly modified the original design of the Regal Eiermann shelving system; however the modifications have in no way detracted from the charm of Eiermann's design. 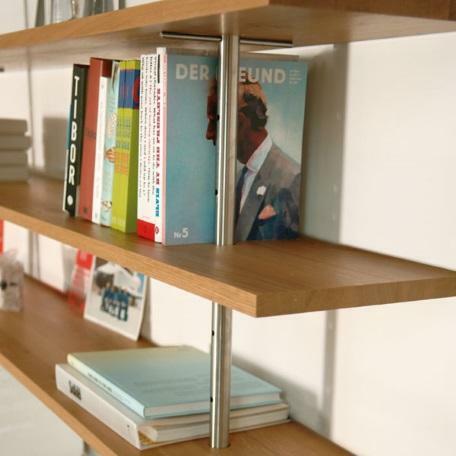 The vertical support tubes are made of stainless steel and the shelves are available in white melamine and solid oak. 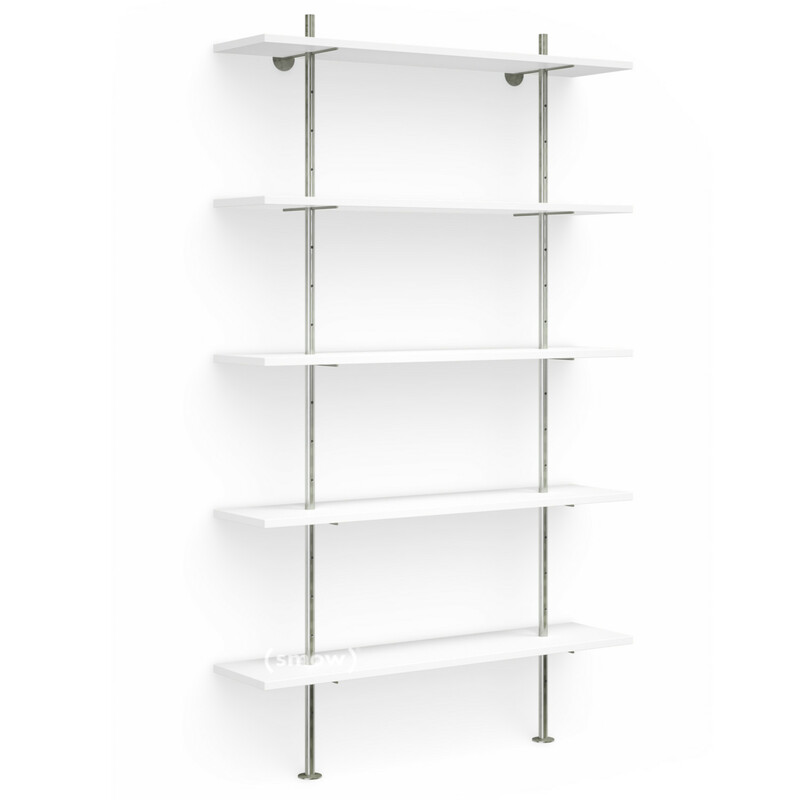 The Regal Eiermann shelving system is available in different sizes. 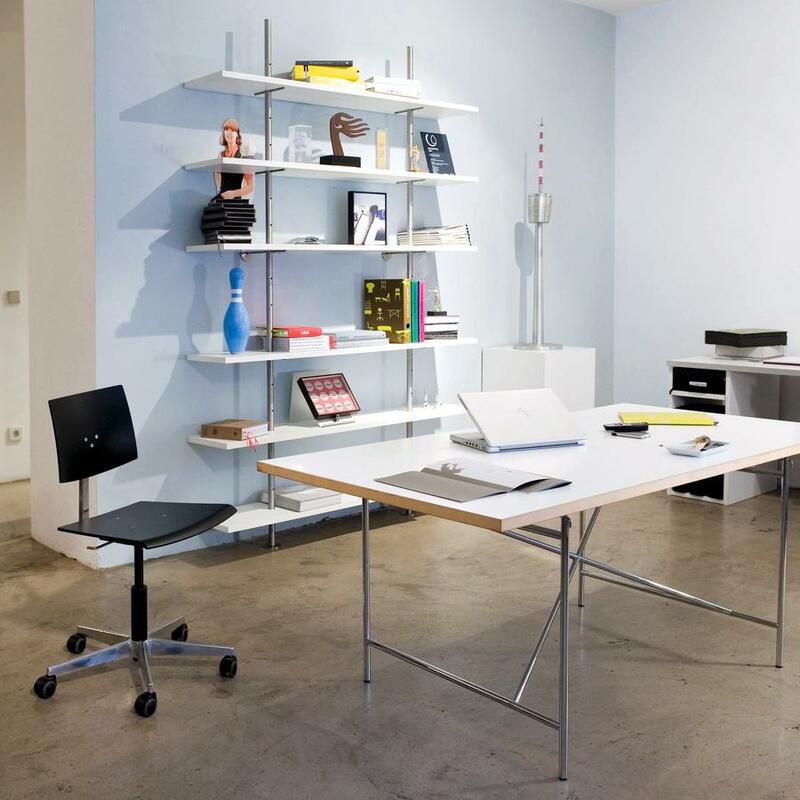 Premièred at the 1932 exhibition "Das wachsende Haus" and distributed today by Richard Lampert the Regal Eiermann shelving system is, with its functional and objective formal language, consistent with the age of modernism from which it arose. Egon Eiermann, who was principally active during the second half of the 20th century, is considered an important representative of postwar modernism and his work strictly follows the functionalist principles of the period embodied as it is with a lightness and a freshness representative of the progressiveness of the post-war years. Egon Eiermann was the first German furniture designer who achieved international recognition post World War II, and, for example, his SE18 wood folding chair was added to the permanent collection of the MoMA in New York in 1953. 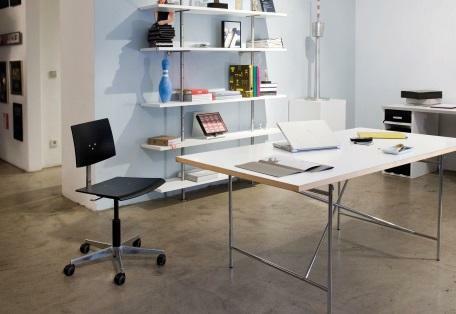 And that recognition of the quality of his design work continues today: perhaps the best know example being his Eiermann table frame, a product which graces many a global architectural office.